TUCSON, ARIZONA (Wednesday, Feb. 22, 2017)— The Houston Dynamo will compete for the 2017 Desert Diamond Cup championship on Saturday evening at 7 p.m. CST/ 6 p.m. MST against Colorado Rapids, FC Tucson. The match will be streamed live on HoustonDynamo.com/LIVE. Last year, the Dynamo finished their participation in the Desert Diamond Cup with a 0-1-2 and this year the team turned it around finishing their group stage participation with a 2-0-1 record and earning a spot in Saturday’s the final. The Dynamo open the 2017 season, presented by 76, on Saturday, March 4 at 7:30 p.m. CST against the defending MLS Cup Champion Seattle Sounders FC at BBVA Compass Stadium. The full season schedule was announced on Thursday, January 12. Mike Piazza Learns How to Be an Owner. Of a Soccer Team. In Italy. HOUSTON (Friday, March 6, 2015) – The Houston Dynamo open their tenth season on Saturday at 7:30 p.m. as they host Columbus Crew SC in the 2015 season opener at BBVA Compass Stadium in a match presented by Visa. Limited tickets are available at www.HoustonDynamo.com, by calling 713-276-GOAL, or by visiting the BBVA Compass Stadium box office (2200 Texas St., Houston) from 12:00 p.m. through kickoff tomorrow. The first 6,000 fans will receive a poster to commemorate the club’s 10th season, courtesy of Visa. Following the game, Kroger will present its first of five postgame fireworks shows scheduled for BBVA Compass Stadium this season. The game will be broadcast live on ROOT Sports Southwest (Alternate Channel; 7:00 p.m. pregame show) and can be heard on Yahoo Sports Radio 1560 AM and 850 AM (Spanish). Saturday marks the debut of Owen Coyle after he was appointed as the second head coach in Dynamo history on Dec. 9. The former English Premier League manager with Burnley and Bolton Wanderers follows Dominic Kinnear after he led the Dynamo for nine seasons. 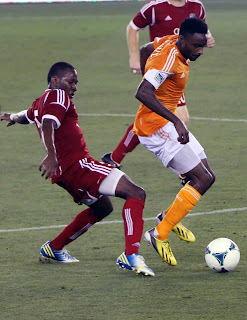 The Dynamo return the core of last season’s team, including forward Giles Barnes, who collected Dynamo MVP, Players’ Player of the Year, Ironman of the Year and Golden Boot honors in 2014. Additionally, Honduras international midfielder Luis Garrido and four-time World Cup veteran DaMarcus Beasley will be with the club from the start of the season after joining last July. The 2015 Dynamo roster also features 11 new players, including defender Raul Rodriguez, who spent the last four and a half seasons with Espanyol in Spain’s Liga BBVA, and midfielder Leonel Miranda, 21, who arrives from Argentinean power CA Independiente. Mexico national team striker Erick “Cubo” Torres, who scored 22 goals in 44 games with Chivas USA, will join Houston at the end of his current loan back to Chivas Guadalajara. Columbus experienced significant change in 2014, with a new head coach, Gregg Berhalter, and a midseason rebranding, with a new logo and slight name change to “Columbus Crew SC”. Berhalter enjoyed breakout seasons from several young players who return in 2015, including Ethan Finlay (11 goals, 7 assists), Justin Meram (8 goals, 4 assists), midfielders Wil Trapp (28 starts) and Tony Tchani (33 starts), defender Waylon Francis (6 assists in 24 games) and goalkeeper Steve Clark (34 starts). In 2015, Berhalter will count on former Dynamo forward Kei Kamara, who returns to MLS with Crew SC after two seasons with Middlesbrough in the English Championship. Columbus’ primary playmaker is Argentine midfielder Federico Higuain, 30, who has 27 goals and 23 assists in 71 appearances with Crew SC since arriving in Columbus in 2012. Following Saturday’s opener, the Dynamo remain in Houston to host MLS expansion club Orlando City SC and Brazilian star Kaká on Friday, March 13 at BBVA Compass Stadium. For tickets for the Dynamo’s tenth season, including full-season plans starting at $380 and partial-season plans starting at $99, visit www.HoustonDynamo.com or call 713-276-GOAL. 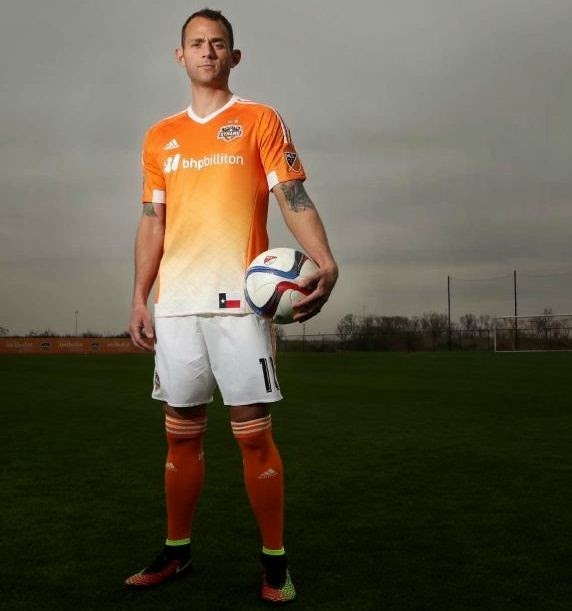 The Houston Dynamo are a Major League Soccer club that has won two MLS Cup championships and four conference championships in its first nine seasons and qualified to represent the United States in international competition six times. The team trains in the Houston Methodist Champions’ Field at Houston Sports Park (HSP), the premier training facility in Southeast Texas, and plays at BBVA Compass Stadium in downtown Houston. 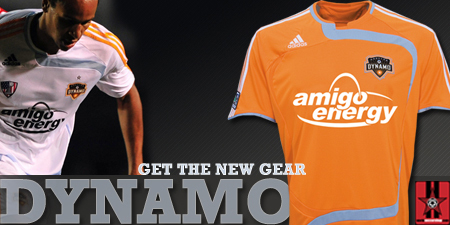 For more information, log on to www.HoustonDynamo.com or call (713) 276-7500. 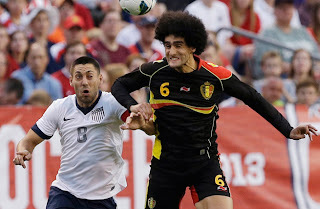 Last night in Cleveland, the United States National Team was outclassed by a Belgium squad that exposed the American side's weaknesses, weaknesses that many US fans and Soccer House have conveniently turned a blind eye towards since the team's success in the 2002 World Cup finals. While the USMNT has made great strides since its days of wandering the non-World Cup finals wilderness between 1950 and 1990, the team, and the USSF program in general, have much work to do. Not all of this work can be accomplished under one coaching regime or with the current generation of players. The biggest problem with the USMNT, which shines through often, and is just as often glossed over, is the poor state of technical skills in general - skills that players in footballing nations often learn and begin developing before they hit puberty. That being said, it isn't the US National Team's job to develop players beyond their teen years, those players are with clubs 95% of their playing time while the National Team only has small windows here and there to work with the players. While I'm not a huge fan of or an apologist for Jurgen Klinsmann, who is a decent start to moving away from the stale Arena/Bradley years, his vision for what he wants the US team to be exceeds the tools and players at his proposal (he's out kicking his coverage, so to speak). Let's face it, a national team coach doesn't have the liberty of imposing his vision on a team, rather he needs to take the players he has at his disposal and find the right system in which they will succeed. Maybe next time Soccer House will perform a real coach search in which many candidates are interviewed and considered (though I don't except such a professional, sophisticated approach from Soccer House). Despite last night's loss, in a friendly after all, the USMNT will advance out of CONCACAF and find itself in Brasil in 2014. Even without knowing the group draw, I'm 65% certain that the USMNT will advance out of the group stage, but not get any farther in the World Cup finals. Finally, and I know this will fall on deaf ears, it would be nice to see some realistic expectations from USMNT fans. Before last night's match, US fans were again showing their naïveté about international teams with the notion that Belgium would be an easy team to beat. 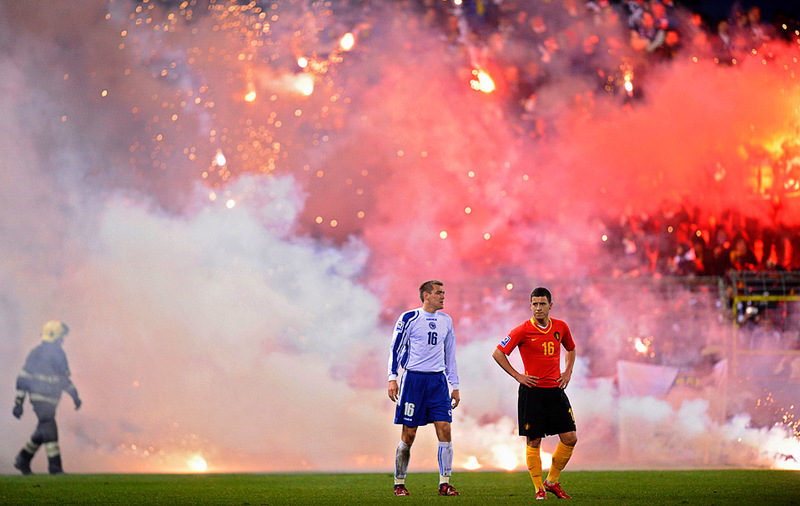 Maybe the manner in which the US lost last night's friendly will be a nice dose of reality to these fans, but a I fear that is too much to ask for. Meanwhile, the Houston Dynamo fared better than the USMNT as they beat FC Tucson, 2-0, last night at BBVA Compass Stadium in Houston. The goals were courtesy of Alex Dixon and Giles Barnes. With this win, the Dynamo move on to the Fourth Round of the Lamar Hunt US Open Cup, where they will play at FC Dallas on June 12th. I did a little traveling over Memorial Day weekend and one of my flights had DirecTV on it, so I found myself watching a marathon of A&E's original show Longmire. I remember when season one began airing last year, I wanted to get into it, but for a variety of reasons never got around to watching the show. Seeing it on my flight, I got sucked in and am now watching Season 2, with plans to catch up on Season 1. The series stars Robert Taylor as Walt Longmire, the Sheriff of the fictional Absaroka County in Wyoming, and is based on the books of Craig Johnson. 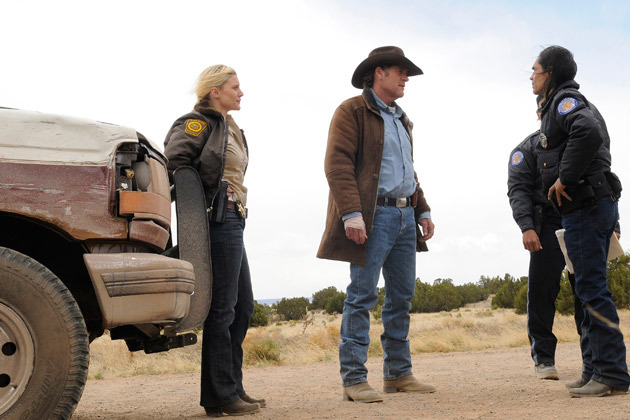 The show is a good mix of crime drama and western, with the added element of a (fictional) Cheyenne Indian Reservation located in the fictional county. The cast, which includes Lou Diamond Phillips, is top notch, and help create a good summer show that I highly recommend. While Longmire might not be the kind of highbrow writing you find on Mad Men, Breaking Bad, or Justified, it's an entertaining and enjoyable show, and adds to your tv viewing what a James Lee Burke or Nevada Barr book adds to your summer reading. Longmire airs on A&E at 9:00 p.m. central on Monday evenings (with encore airings). Oh, having lived in Montana, I do enjoy the fact that Walt Longmire only drinks Rainier Beer. Well, not something completely different, but it is time for a change, time to shake things up here and get out of a rut, time to broaden the scope of this blog. For close to a year now, for a variety of reasons, I've felt pretty burnt out on soccer and have felt the need to pull back. What I've learned in this time is that I'm less cynical and jaded when I get soccer in smaller doses and on my time and terms. I'll still post about soccer here, in fact, I'll touch on an MLS development a bit later in this post, but I intend on posting about other topics too, such as arts, food, entertainment, other sports, books, etc. I know some die hard soccer types don't appreciate this kind of mixing of topics, too bad. So first topic of the day is that the NFL announced that Houston will be the host of Super Bowl LI in February of 2017. It's about time NFL, it'll have been 13 years since Houston last hosted the Super Bowl, time to realize Houston wasn't to blame for Janet Jaackson's "wardrobe malfunction." I grew up a Houston Oilers fan, it was painful, but I was still 100% Luv Ya Blue. 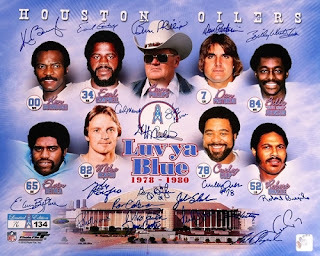 I've never really hidden the fact that I'm a fan of NFL football and admire, most of the time, how the league went from being a little sister of the poor not only to Major League Baseball but also to college football and grew into the financial and entertainment juggernaut of the American sports world. Meanwhile, Don Garber and MLS made their own announcement today, a 20th MLS team has been selected and it will be NYC FC, which will join the league in 20015. The team is a joint venture between the New York Yankees and Manchester City FC. As of now, it's not clear where the team will locate its stadium. While the Corona Park location in Flushing Queens has come up as a potential location for a soccer stadium, but it's not clear that MLS is completely sold on that idea. It does seem likely that the team might play some matches at Yankees Stadium in the Bronx. I wouldn't be surprised if they try to push for a Brooklyn location. I didn't do a scientific study on soccer fan/media reaction to this decision, but it does seem that a large number of people are unhappy with this decision, with the possible exception of people who have been long time rivals of RedBull New York, the team located in Harrison, New Jersey. I really don't have much problem with the decision to put "another" MLS team in the New York City region. Even with a lovely new stadium in Harrison, RedBull has not managed to capture of the attention of many New Yorkers or created the type of fan base that the Jets and Giants have, a fan base willing to travel to the Meadowlands for home games. 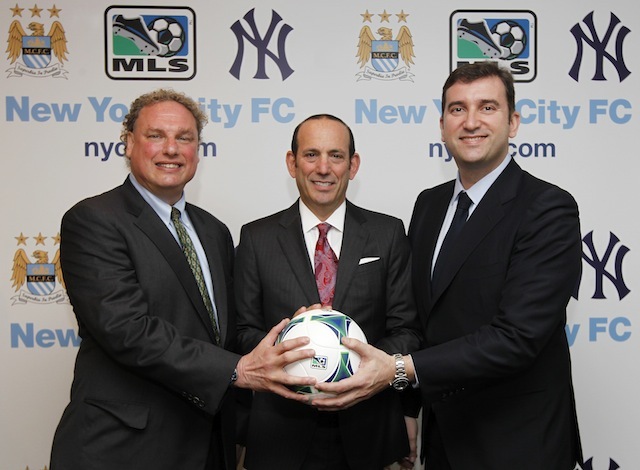 MLS needs a strong presence in the New York City area, will NYC FC bring that? 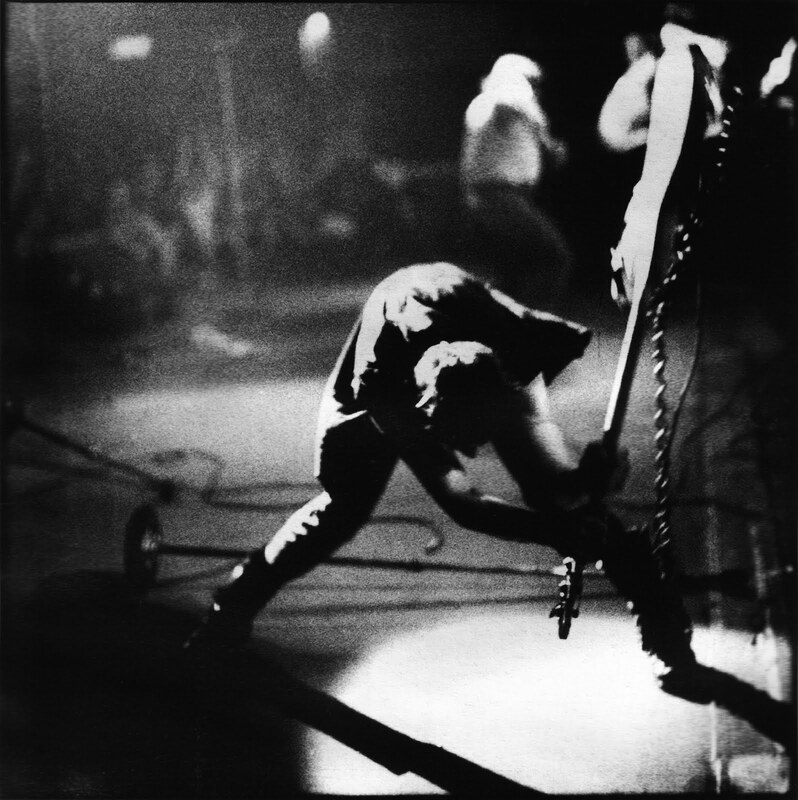 Who knows, but sometimes you just have to roll the dice. 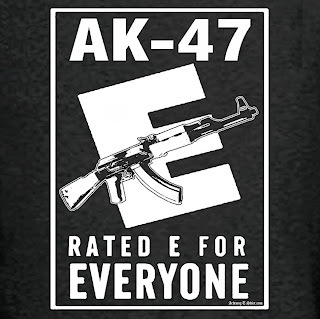 Well, that's all I have for today. With this new format I should be posting more, not always about soccer, not always about multiple topics, not always etc. The Champions Leagues were dominated by teams from Germany, Spain, and Mexico; Baby Kim is saber rattling; and the Iron Lady is gone, time for a throwback to the Cold War edition of your Friday goals.